E-cigarettes and Asthma: What Are the Health Impacts? 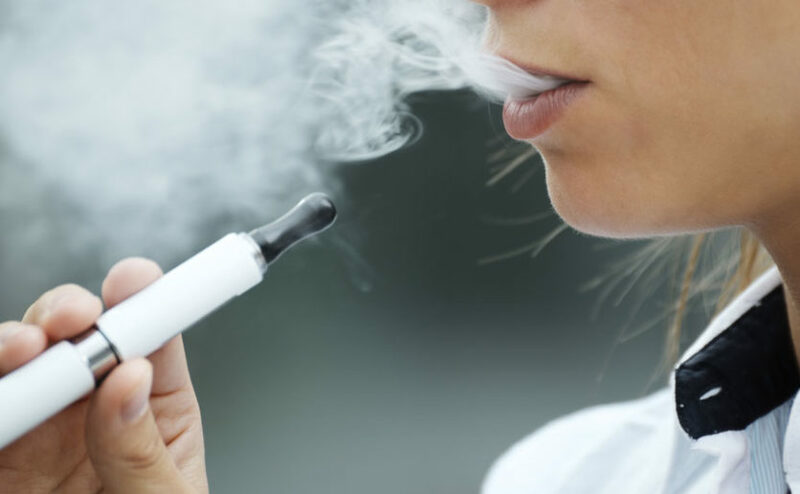 A MassGeneral Hospital for Children physician and tobacco researcher warns that, while e-cigarettes contain fewer toxic chemicals than regular cigarettes, they still contain harmful compounds and are addictive. Jonathan Winickoff, MD, MPH, a primary care physician and tobacco researcher at MassGeneral Hospital for Children, shares insight into the dangers of e-cigarettes, especially for children and young adults with asthma. E-cigarettes, or e-cigs, are electronic nicotine delivery devices. They go by several names: vape pens, vapes, mods, tank systems, e-hookah, e-cigars. E‑cigarettes are small discrete hand-held devices that can easily be concealed and do not look like traditional cigarettes. Are e-cigs safer than regular cigarettes? E-cigarettes contain fewer toxic chemicals than those in regular cigarettes. However, the products included in e-cigarettes are not regulated or monitored. There are still harmful compounds, metals in e-cigarettes such as lead and other chemicals that do cause cancer. E-cigarettes are addictive because they contain high levels of nicotine. A single cartridge can contain more nicotine than a whole pack of cigarettes. They present major health concerns for children through young adulthood. Youth who use e-cigarettes are more likely to go on to smoke traditional cigarettes at some point in the future. So, if you have not started to use e-cigarettes, don’t ever start. And If you already using e-cigarettes, stop immediately. Talk to your doctor if you are unable to stop on your own. Can e-cigarettes be used to quit smoking? You should speak with your doctor if you need help with quitting smoking of any kind. E-cigarettes are not a recommended option for smoking cessation. Your doctor can provide you with resources such as safe and effective nicotine replacement medicine in the form of a patch, gum and lozenges. These medicines are best combined so that the patch goes on to address your baseline nicotine craving and the gum or lozenge is added on for breakthrough cravings throughout the day. Can my child and family still experience second-hand smoke effects from electronic cigarettes? Yes! Research shows that the nicotine in e-cigs can impact brain development and is harmful to developing lungs. The long-term effects to users and those impacted by the aerosol are still not completely known since e-cigarettes are relatively new to the market. But vaping in any area where children live, or in the car, or in any location where tobacco is prohibited is never recommended. Sixty-nine percent of children who use JUUL don’t even know that it contains nicotine. JUUL is a type of electronic cigarette that has been around since 2015. Due to its small size (about the size of a flash drive); appealing flavor options like fruit medley, crème bruleé, mango and other sweet flavors; and high concentration of nicotine, it has become very popular with adolescents and young adults. Sixty-nine percent of children who use JUUL don’t even know that it contains nicotine. The high nicotine concentration is more than double that of traditional e-cigarettes and increases the likelihood of addiction. An element inside the pod heats up the liquid, which contains nicotine, artificial flavors and other chemicals. Once the liquid is heated, it turns into an aerosol which is inhaled deep into the lungs. Will smoking e-cigs impact asthma symptoms? There is evidence that shows teens who use e-cigs experience more coughing and wheezing symptoms, as well as more asthma attacks. I want to emphasize again that not only is the aerosol dangerous for your lungs, the worst part about e-cigarettes is that the developing brain of teenagers and young adults is exquisitely sensitive to nicotine. The reward center of the brain becomes hungry for nicotine and other drugs of abuse. The person who uses e-cigarettes is much more likely to go on to smoking regular cigarettes, become a nicotine addict and is also more likely to progress on to other drugs. Schools need to have clear zero tolerance policies for all drugs, tobacco products and e-cigarettes. What is the legal age of sale for e-cigarettes? In the Greater Boston area, and more and more towns and locations across the country, the legal age to purchase cigarettes and e-cigarettes is 21. It is currently illegal to sell e-cigarettes to those under the age of 21 in most towns in Massachusetts, but there is poor online enforcement for sales to minors. The state will likely raise the age of sale to 21 throughout Massachusetts this year. Schools need to have clear zero tolerance policies for all drugs, tobacco products and e-cigarettes. What if I have questions about e-cigarettes? Feel free to reach out to our experts here at MassGeneral Hospital for Children if you have further questions or concerns about electronic cigarettes (617-726-2000). You can also get more information on the Centers for Disease Control and Prevention website. To learn more about how you can support programs at MassGeneral Hospital for Children, please contact us. Your donation supports research and treatment for infants, children and adolescents.